Yes my friend i agree with you. I think i will use lua script for telemetry in my taranisqx7. Hi. I read the whole thread and I like the idea of sharing the data from taranis qx7. But, I need something different. I need a place where I can get telemetry data, convert it with arduino and display it on an oled. So an equivalent to the FSD? 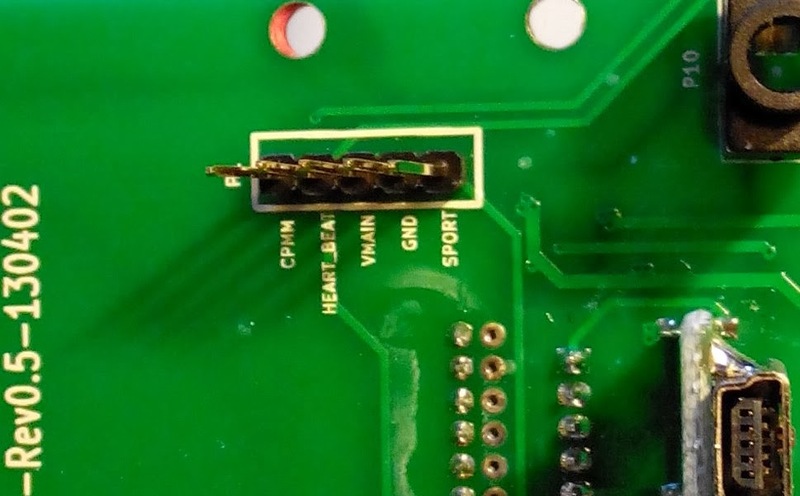 Can be connected to module slot pins. Yes, like FSD. But custom data to be displayed. I found the pinout of the module bay on back side of taranis, but how to make telemetry to go through the signal pin? The smart port (bottom) pin already carries all telemetry. Do you mean a bottom pin of module bay or pin on bottom of the radio? Thanks for info. Both actually. The bottom connector has the sport line as well. I'm adding a couple of commands to scripts on ersky9x to allow sending and receiving data over bluetooth. In theory, it should then be possible to pick up telemetry values, format them as serial data and send them out over bluetooth in whatever structure you like. Hi friends.... maybee this can be done with a QX7 ?? Yes, that module may be fitted. Currently I don't have support for it in ersky9x, and as it is a 4.0 Low Energy device, I understand it doesn't actually perform that well as the data throughput is limited. Well, I got a Qx7 S and thought about what can be done with the built in Bluetooth module. Everywhere I looked people were talking about the wireless trainer or adding BT modules to X9 oder X7 radios and I could not really find what I was looking for. Can this be done, are there solutions available ?? Possible yes, but there is nothing that already exists for that. In Ersky9x is possible to send Frsky telemetry over Bluetooth. Not sure if it works only with the old D protocol, or if it also sends S.Port.. I never tried this one, only the D protocol..
Not sure this is what the OP wants though.. If not, I do apologize. Getting the data is no issue, but then the whole display/app for today's data there is none that exists. Does the Trainer function work with a BT module yet? Ersky9x supports trainer over bluetooth if you use a HC-05 type module. The "official" module from FrSky is a BT4.0, low energy type and has limited throughput. I understand trainer operation using that module wasn't very reliable. It may have been improved, but my testing with another low energy module did not give a good enough performance, so I haven't added support for BT4.0 modules in ersky9x.